Drinking a few cups of fragrant tea a day is a good habit for many who want to have a healthy lifestyle and prolong your life. This divine beverage has many health benefits. It not only perfectly quenches thirst, but and acts as a tonic and even therapeutic agent. Tea has pronounced antioxidant properties due to the chemical compounds contained therein such as polyphenols and catechins, which fight inflammation in the body. Experts have found that moderate consumption of tea strengthens the cardiovascular system, improves immunity and has a positive effect on the human body as a whole. Some research reveals that your morning cup of tea can help you feel better and live longer. 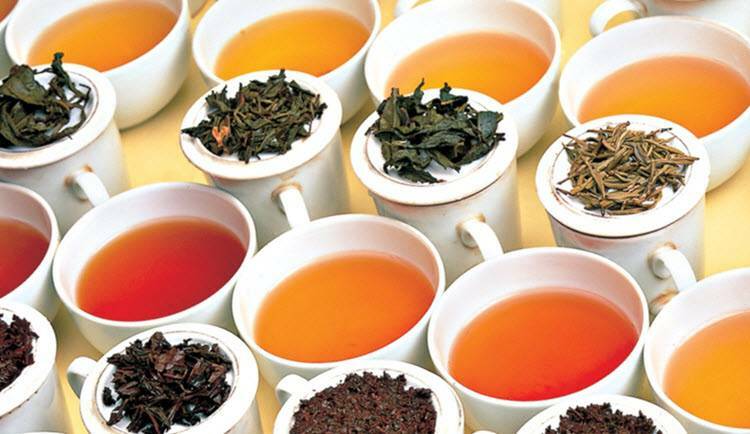 Tea is one of the oldest beverage and is very popular with completely different nations of the world. It is not inferior and in some countries surpasses the prevalence of such a beverage as coffee, is considered less harmful. Given this demand, it is not surprising that its choice on the market is simply huge. Do not get lost in it will help this rating of the best types of tea, compiled according to customer reviews. Here is a list of the best healthy teas you want probably to try. Black tea is made from fermented leaves. There is a lot of caffeine in it which in moderate doses is of great benefit – it stimulates the activity of the central nervous system, strengthens the work of the heart and increases physical performance. Of course, it is not necessary to abuse caffeine, but 2 cups of black tea per day will only health benefit the body. Black tea helps reduce blood cholesterol levels, improves metabolism and helps reduce excess weight. That is why this beverage is recommended to drink while following diets. In addition, it strengthens the immune system and has a bactericidal effect, especially when combined with citrus fruits. It also reduces the risk of diabetes. People with high blood pressure and those suffering from glaucoma are not recommended to use excessive black tea. Do not drink it also at bedtime. No less popular today is green tea, which has long been valued for its ability to quench thirst and antioxidant properties. The taste of green tea is milder than that of black – the leaves are dried and processed almost immediately after harvest, and this stops the fermentation process. Green tea contains vitamins A, B, B1, B2, B15, C, P fluorine, potassium, zinc, copper, iodine, fluorine, and other useful substances. This is an excellent source of antioxidants – substances that slow down aging. The beverage helps excrete harmful compounds, toxins and reduces the risk of cancer. And green tea kills viruses and fungi. Green tea contains 2 times less caffeine than black – so it is preferable for sleep disorders, heart disease and pregnancy (but in limited quantities). Tea for connoisseurs. This type of tea is recommended for people with high blood pressure, as it contains the minimum amount of caffeine. It has a relaxing effect on the body, promotes healing of wounds and increases blood clotting. It strengthens the immune system, cleanses, kills bacteria and saturates the body with useful substances. And he also perfectly removes chronic fatigue syndrome. It is not subjected to heat treatment, therefore, it retains a large number of trace elements, amino acids, and vitamins. White tea is recommended for people with high acidity and gastritis. White tea should be brewed only with warm water in a glass, porcelain or ceramic dish. If you pour boiling water over it, it will be considered “dead”, that is, it will lose most of the nutrients and lose its unique taste. Oolong is fermented only half – on the edges of the leaves. Therefore, it is as tasty as black tea and as aromatic as green tea. And it costs more than both of them because it is not so easy to achieve the desired degree of fermentation. During processing, the leaves are gently mixed and kneaded every hour, while trying not to break. Oolong tea contains many useful chemical compounds: vitamins C, D, E, K, B1, B6, B3, B12, calcium, phosphorus, iron, iodine, magnesium, selenium, zinc, manganese and others. Polyphenols in the leaves of oolong reduce the activity of cancer cells. Oolong tea improves digestion, protects against heart attacks and strokes and reduces the number of fat cells. Beverage helps to cope with depression, improves skin condition and eliminates allergies. Karkade tea is also often called red tea, but it is only made from the petals of a Sudanese rose (hibiscus). It is very popular in Egypt, Sudan and other countries of the South-West. Its feature is that hot Karkade increases blood pressure, and in a cold state reduces. That is why the Arabs prefer to treat guests to cold carcade in the summer heat. Karkade has a sedative property, which is why it is recommended to drink for nervous disorders, stress, or insomnia. Moreover, this type of tea contains a huge amount of vitamin C and rutin, has a urinary and choleretic effect. There is evidence that Karkade is also a preventive anti-cancer agent. Puer leaves are fermented and then stored for some time under high humidity. This tea is like wine – the older it is, the more valuable it is. In specialized stores, you can find a forty-year-old Pu-erh, or even older. The Chinese call it a remedy for a hundred diseases. The drink is very useful for the digestive tract, it is even allowed to drink with an ulcer. Puer removes plaque from mucous membranes and improves the absorption of food. Reduces the likelihood of cancer, cholesterol, and sugar. Well removes toxins, so it is recommended to drink it in case of poisoning. In combination with a balanced diet and exercise, regular drinking of healthy teas can help you live longer and become part of a healthy lifestyle.